"Resembling / A boat / Filled with a thousand years of dreams / Every day / I embrace the hope of moving forward"
After five years, Malaysian University students were finally able to gather again for a two-day and one-night camp--the Initiation Camp. One hundred and seventeen university students began channeling their inherent "revolutionary spirit" at the beginning of the year. From planning, implementation, to the Sunday Service the next day, the main purpose was for the students to single-handedly organise the events, in order to uncover the unique leadership qualities of the youth. Reviewing the history of Christianity, the years containing "17" often gave rise to many "revolutions." For example, Martin Luther brought about the religious reformation in 1517; the United States gained independence in 1781; the French Revolution took place from 1784 to 1794. And in the current year of 2017, through the practice of "taking action on faith," a "self-revolution" will occur. 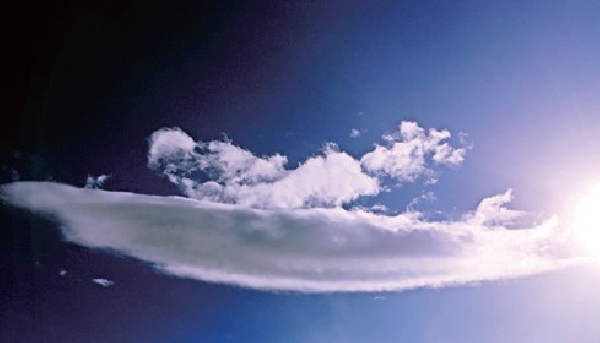 Before Sunday service began on the second day, a cloud in the image of a “boat” emerged from the sky. It was mysterious and beautiful, reminiscent of the lyrics in the song of confession to God referenced at the start of this article. The theme song of the camp was a song called “I.” The word “boat" in the lyrics of the camp’s theme song corresponded with the word "boat" which appeared as a parable in the Sunday message. These signs reveal that God accompanied us.